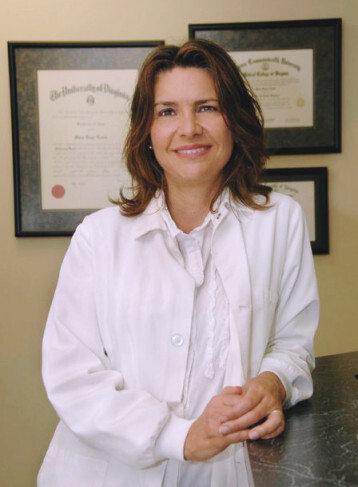 Dr. Mary Lewis is a Tidewater native and has been practicing dentistry for 28 years (1990). She resides in Virginia Beach with her husband, two teenage sons, and Labrador, Lilly. Dr. Lewis comes from a Greek background and is fluent in the language. She is a family and patient-oriented individual who loves helping others. Dr. Lewis graduated from the University of Virginia with a biology major, then graduated the Medical College of Virginia School of Dentistry. Dr. Lewis scored in the top 96th percentile on the national dental board examination. She was accepted into the prestigious UNC Chapel Hill Dental Residency program – the top ranking program in the country. There she worked in the UNC Hospital dental clinic on many medically compromised patients, rotating through the ER, OR, and Oral Surgery departments as well as the local Veterans Affairs medical center in Fayetteville, NC. Furthermore, Dr. Lewis is Dawson and Pankey-trained alumnus in dental occlusion. Dr. Lewis adheres strictly to this philosophy – it is the cornerstone of her skill in creating beautiful, long-lasting dental restorations. The Virginia Beach Dentist Who Makes You Smile! At Virginia Beach Family and Cosmetic Dentistry, your dental care is important to us. Dr. Mary Lewis and her entire team believe you deserve professional, personalized dental care that makes you feel comfortable. We use the latest technology to transform your smile and enhance your life. Our dental care team plans every aspect of your treatment down to the finest detail. If you are looking for the best dentist in Virginia Beach, look no further! As a highly accomplished general and cosmetic dentist, Dr. Mary Lewis treats every patient with a unique combination of compassion and expertise. 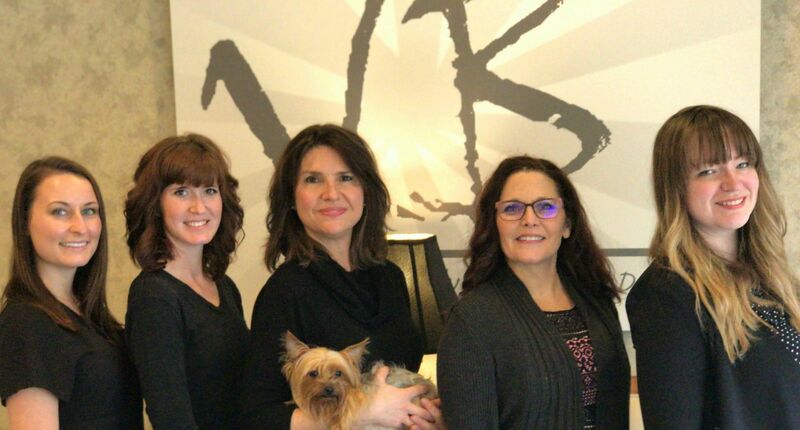 Dr. Lewis and her staff understand the importance of providing personalized attention and care, and have the clinical experience to produce results that feel natural, function comfortably and are designed to last. 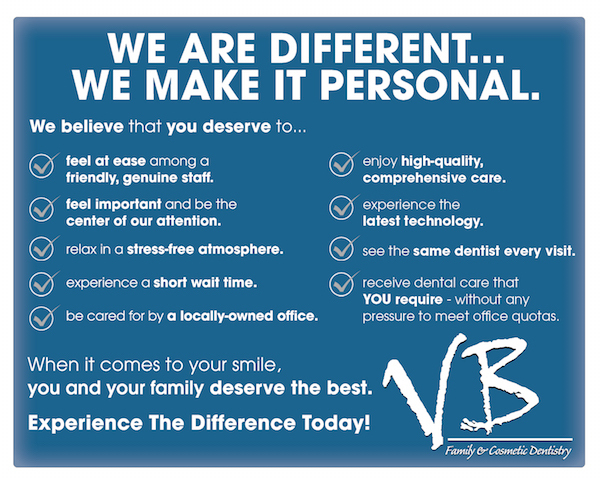 Whether you need a complete checkup and preventative visit, or more complex dental services, come experience the Virginia Beach Family & Cosmetic Dentistry difference! Find out why so many people in Virginia Beach and beyond trust Dr. Mary Lewis to make them smile! Click now to hear what our patients say. Bring the family! From young children to senior citizens, Dr. Lewis brings compassionate care to every visit. We offer a full range of dental services, customized to meet your needs. From cleaning to restoration, we can help. As a 20+ year patient of Dr. Lewis I have had nothing but positive experiences. Always quality care with a personal touch. Her newest hygienist was extremely thorough in her cleaning yet was very gentle at the same time. I cannot thank the Dr Lewis and staff at VB family & Cosmetic dentistry enough!!! They took care of my 8 year olds dental emergency without hesitation and fixed her broken tooth like new!! Dr. Lewis was amazing with my daughter and gave such personal service. The front desk staff helped ease my nerves and helped with all insurance stuff. All I can say is amazing!! Dr. Mary Lewis is phenomenal. She really sympathized with my own insecurities. The entire crew is kind, welcoming, and understanding. I was given a few options for what I wanted done, as well as cost breakdown from the start- showing complete business transparency. As for my smile- I’ve never felt better. Thank you! I enjoyed my first visit at Dr. Mary Lewis's dental office, every one was super nice and friendly, my dental care was great, I'll love going back. I love this Dental Office. They sincerely want to help, and are sweet and understanding. I would recommend Dr. Lewis and her staff to everyone I know.